Attucks was born around 1723; his father was an African slave in Boston, and his mother was a Natick Indian. His life up until he was 27 years old is a mystery, but in 1750 Deacon William Brown of Framingham, Mass., placed a notice in the Boston Gazette that his slave, Attucks, had run away. Brown offered a reward of 10 pounds as well as reimbursement for any incurred expenses to anyone who caught Attucks. The crowd had gathered after a barber's apprentice accused a British soldier of not paying for a haircut. The soldier struck the boy in anger, and a number of Bostonians, seeing the incident, gathered and shouted at the soldier. Other British soldiers joined their comrade, and they stood as the crowd grew larger. Attucks joined the crowd. He took leadership of the group, and they followed him to the custom house. There, the American colonists began throwing snowballs at the soldiers guarding the customs house. The accounts of what happened next differed. A witness for the defense testified at the trials of Captain Thomas Preston and eight other British soldiers that Attucks picked up a stick and swung it at the captain and then a second soldier. The defense laid the blame for the actions of the crowd at Attucks' feet, painting him as a troublemaker who incited the mob. This may have been an early form of race-baiting as other witnesses refuted this version of events. However much they were provoked, the British soldiers opened fire on the crowd that had gathered, killing Attucks first and then four others. At the trial of Preston and other soldiers, witnesses differed on whether Preston had given the order to fire or whether a lone soldier had discharged his gun, prompting his fellow soldiers to open fire. Attucks became a hero to the colonials during the American Revolution; they saw him as gallantly standing up to abusive British soldiers. And it is entirely possible that Attucks decided to join the crowd to take a stand against perceived British tyranny. As a sailor in the 1760s, he would have been aware of the British practice of impressing (or forcing) American colonial sailors into the service of the British navy. This practice, among others, exacerbated tensions between v and the British. Attucks also became a hero to African-Americans. In the mid-nineteenth century, African-American Bostonians celebrated "Crispus Attucks Day" every year on March 5. They created the holiday to remind Americans of Attucks' sacrifice after blacks were declared non-citizens in the (1857) Supreme Court decision. In 1888, the city of Boston erected a memorial to Attucks in Boston Common. 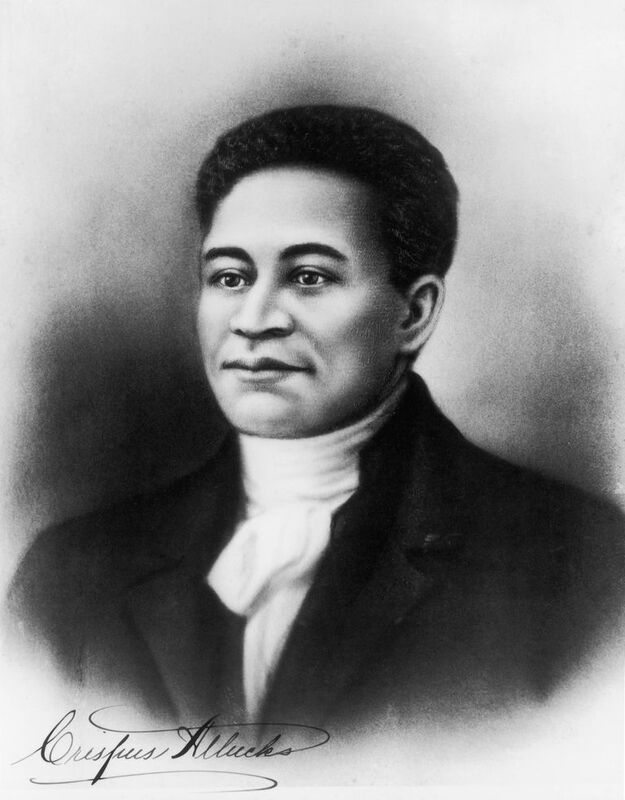 Attucks was seen as someone who had martyred himself for American independence, even as he himself had been born into the oppressive system of American slavery. Langguth, A. J. Patriots: The Men Who Started the American Revolution. New York: Simon & Schuster, 1989. Lanning, Michael Lee. The African-American Soldier: From Crispus Attucks to Colin Powell. Seacus, NJ: Citadel Press, 2004. Thomas, Richard W. Life for Us Is What We Make It: Building Black Community in Detroit, 1915-1945. Bloomington, IN: Indiana University Press, 1992.